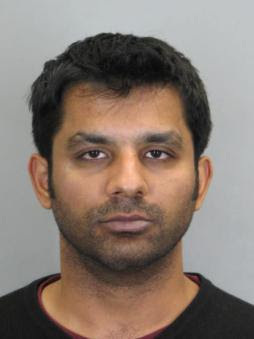 A 31-year-old man was apprehended outside the Wiehle-Reston East Metro station yesterday morning after police said he assaulted a bus driver and a security officer before biting cops who detained him. Sameer Jaspal, of Albany, N.Y., was arrested following the attacks in the “kiss-and-ride” area near the station about 11:30 a.m. Monday. Police officers tried to stop the assault they said Jaspal launched on the bus driver and the security officer. But he ignored their orders to cease. The cops then got a hold of Jaspal, who bit them, according to authorities. Jaspal was charged with two counts of assault and battery, assault on law enforcement and obstruction of justice in connection with the incident.